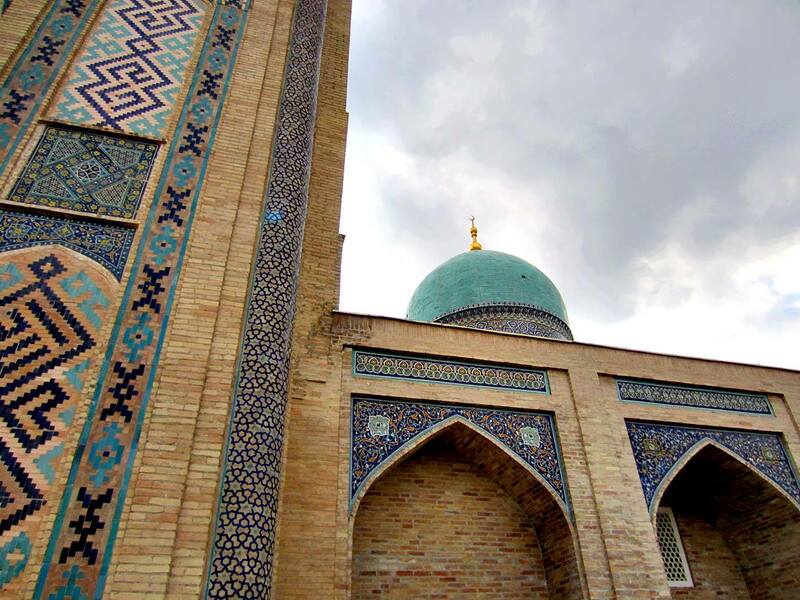 Experience the lands of Central Asia and the Silk Road with Grand Stan Tours! These lands lie at the crossroads of history and are protected by great deserts and awesome mountain ranges. Explore the former Soviet “Stans” of Uzbekistan, Kazakhstan, Kyrgyzstan and Tajikistan. Short sightseeing of Tashkent. Today you can see the contrast between the old and modern city. Visiting old town you will enjoy oriental bazaar Chorsu which is open daily from morning till evening. Visit of Khasti Imam complex that includesBarakhan madrasa of XVI C, MuiMuborak library where you can see the holy book Qoran of VII C.
Drive to Ferghanavalley.Arrive to Kokand.Lunch.Short sightseeing of Kokand and drive to Rishtan.Visit the workshop of a ceramist.Continue journey to Ferghana.Overnight in Ferghana. Drive to Margilan and visit the silk factory.Continue driving to Uzbek-Kyrgyz border at Osh.borderformalities.Continue driving to Osh. Lunch in Osh.Short sightseeing of Osh.Overnight in Osh. Morning flight to Bishkek. Afternoon arrive to Bishkek, check in to the hotel. Lunch at the local restaurant. Afternoon sightseeing Bishkek. 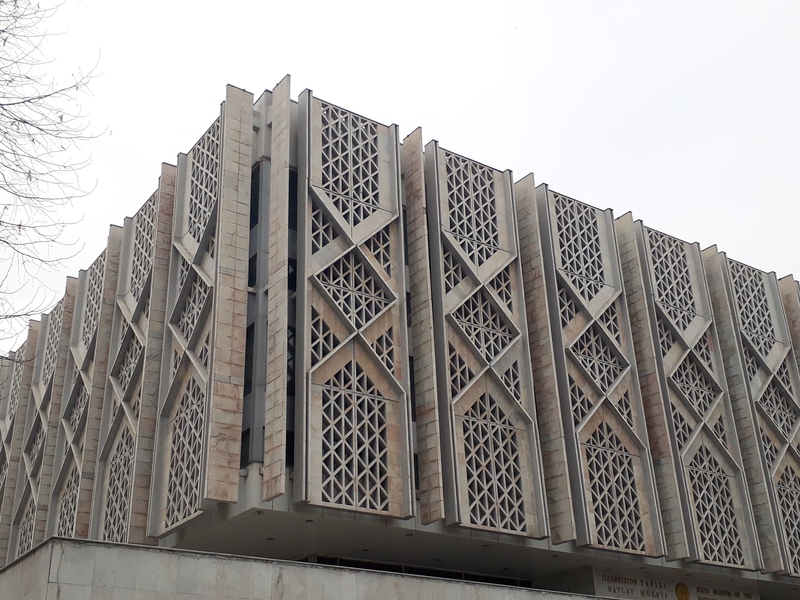 Todayyou can enjoy quite a number of typical soviet-style architecture (Philharmonic – concert hall, government building, Monument of the Great War heroes) and also modern monuments pointing out the traditional Kyrgyz culture (Monument of Manas, Monument of Independence). 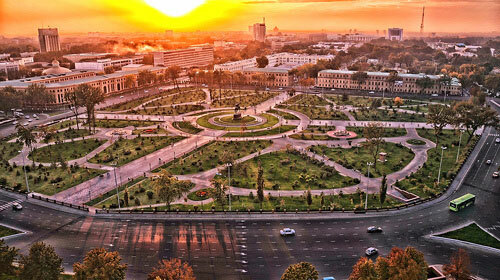 The city is famous being one of the greenest in Central Asia, due to its countless parks and alleys, which make the town a nice place to live also in the heat of the summer. Dinner at local restaurant. Overnight at a guest house or hotel. 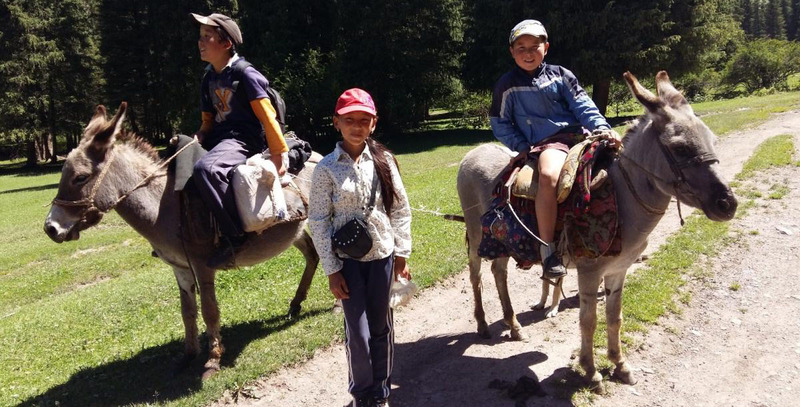 In the morning depart Bishkek and drive to Issyk Kul lake(250 km, 3,5 – 4 hours). Issyk Kul is Kyrgyzstan 's largest lake and at about 180 km long by 70 km wide and 668 meters deep at the deepest point, (the average depth is about 300 meters ), it is the world's second largest mountain lake – and the fifth deepest lake in the world. The lake has been held in high regard by the Kyrgyz – it is known as the “pearl of the Tien Shan ”. Arrival to the lake, drive to Grigorevkagorge(60 km, 1,5-2 hours) full of lush green Alpine meadows and fir trees, easy hike in the gorge. Here, from the end of June until the end of September there is a collection of yurts, which offer a wide range of services. Transfer back to Cholpon Ata where you will be able to visit Petroglyphs or Open Air Museum, sometimes referred as a Stone Garden, which covers some 42 hectares and contains a number of prehistoric monumental structures (stone circles, tombs, the remains of a boundary stone wall, balbals) and stone inscriptions (dating from the II millennium BC up to the Middle Ages). Transfer to a hotel or guest house on the Northern shore of the lake. Overnight. 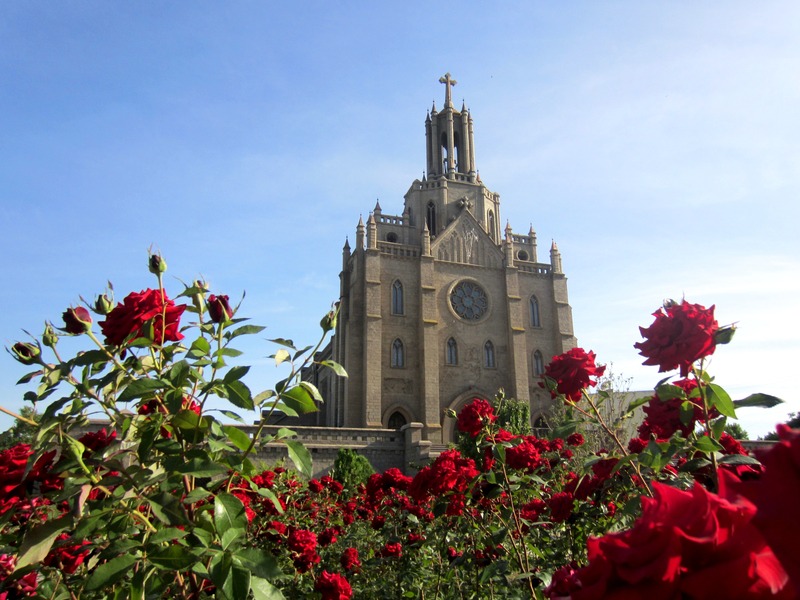 After breakfast start sightseeing of Almaty, that includes visiting of Panfilov Park, Zenkov Cathedral, St.Nicholas Cathedral, National Musical Instruments Museum, Central State Museum, Almaty's Green Bazaar, Panoramic view at observatory (Medeo). 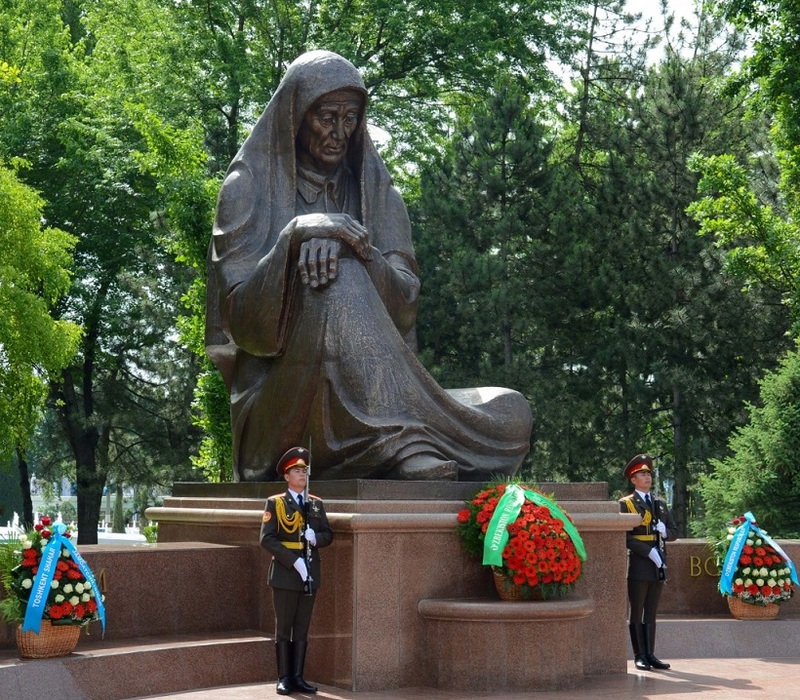 The name of the Panfilov Park comes after the heroes of Panfilov. Inside the park there is a big monument in commemoration of the heroic actions made by 28 Almaty Soldiers who died back in 1941 fighting against Nazi tanks somewhere near Moscow.Zenkov Wooden constructed Cathedral is one of the eight most unique wooden buildings in the world. It is one of the few tzarist-era buildings to survive the 1911 earthquake, despite the fact it is built entirely of wood and constructed without nails. Central State Museum provides an introduction to Kazakhstan's history and includes a miniature replica of the country's chief archeological treasure, the Golden Man - a warrior's costume made from 4.000 gold pieces, many finely decorated with animal motifs. In the Museum of Musical Instruments one can find various national musical instruments, the oldest of which are dated from the XVII century. Medeo is a picturesque valley located 15 km above Almaty. Besides beautiful nature there are some other attractions to see, one of which is the world's largest speed skating ring known as Medeo. Transfer to a hotel in the end of city tour. Overnight. In the morning transfer to the airport to board the flight Almaty-Dushanbe (1 hr). Arrival to Dushanbe. Transfer to hotel or guesthouse. Lunch. After the lunch sightseeing in the city. SS in the city includes: Central Museum of Antiquities of Tajikistan. The highlight of the Museum is “Buddha in Nirvana” 13 meters long Buddha monument, Rudaki street, Pamir musical instruments museum, outside SS for Hissar fortress for III-IV cc BC and Medresse and caravanserai from XVI cc. Dinner in a restaurant-Tea house on the main street of Dushanbe. Overnight in Dushanbe. Full day trip outside of Dushanbe. Picnic lunch on the road, Nurek water reservoir, mausoleum SheykhNuriddin from X c. Panoramic view of the Pulisangin canyon. Dinner. Overnight in Dushanbe. After breakfast start driving towards Panjakent. The travel goes through beautiful Varzob Gorge, and the President’s summer residence villa, through “Istiqlol (Independence)” tunnel with the length of 5,5 kilometers, the biggest in Central Asia. After driving through the Tunnel drive to Iskanderkul lake for short sightseeing and picnic lunch on the bank of famous Lake of Alexander the Great. Then drive to Panjakent along the river Zerafshan, arrival in Panjakent, sightseeing in ruins of ancient Sogdian city V-VIII Panjakent. Accommodation in B&B “Elina” Dinner and overnight. After breakfast excursion in Republican Historical Ethnographical Museum of Rudaki, then drive through the Shakhristan mountain Pass (3378meters ) to Khujand. Lunch in Istrafshan and then visit the well preserved old town of Istarafshan, a maze of small alleys that wind through neighborhoods of shady, mud walled Central Asian homesteads. Sights include the fifteenth century Kuk Gumbaz Mosque, the Hafz-i-Sangin Mosque and the eighteenth century Hazrat-i-Shah Mosque and mausoleum complex. Continue drive to Khujand. Dinner. Night in Khujand. After breakfast drive to Urgench to board the flight to Tashkent. Arrival to Tashkent. Lunch in Tashkent. Hotel check-in. Short sightseeing of Tashkent. Metro, Chorsu bazaar. Dinner.Overnight in Tashkent.